Sometimes innovation is in the details and this is certainly true with Martin’s re-imagined D-28. After nearly a century at the helm, and as the quintessential workhorse of music legends like Hank Williams, The Beatles, Johnny Cash, Neil Young, Bob Dylan, and so many more, Martin's legendary D-28 has been lovingly and artfully enhanced. 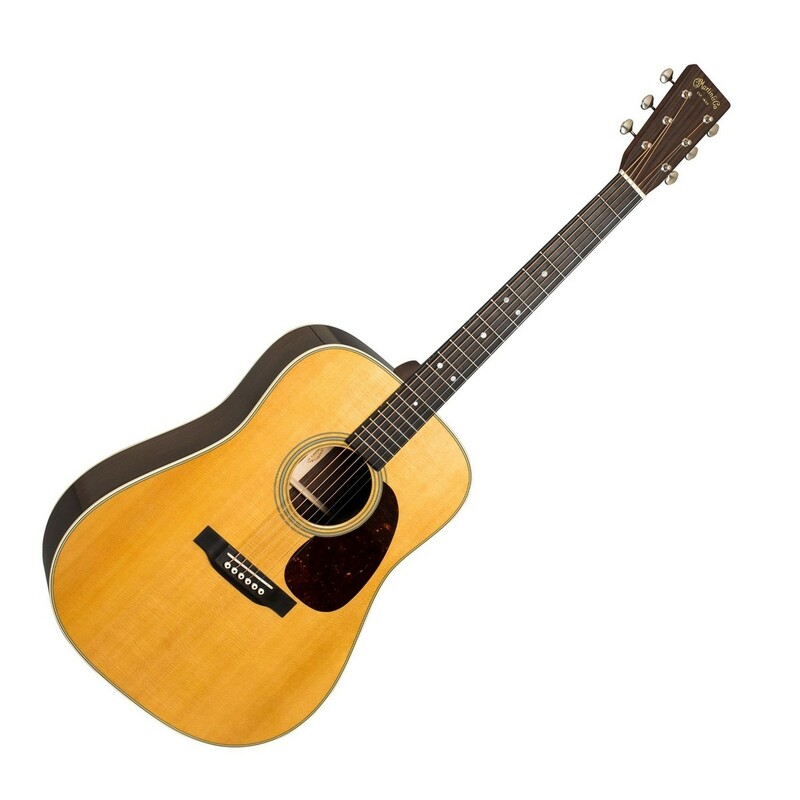 “The post WWII D-28 had a slightly different look than its predecessor and became the centerpiece of the folk and folk rock movements at their pinnacle in the 1950s and 1960s." says Chris Martin, Chairman and CEO of Martin Guitar, "We have extracted the finest features from the D-28 of both my grandfather’s and my father’s respective eras.” The all new D-28 blends the rich history of the guitar with Martin’s newest and most heralded innovations. The 184 year old guitar maker has combined vintage appointments, including open gear tuners, an aged toner top, antique white accents, and a faux tortoise pickguard with a new neck profile to give D-28 enthusiasts a modern feel and comfortable playing experience. 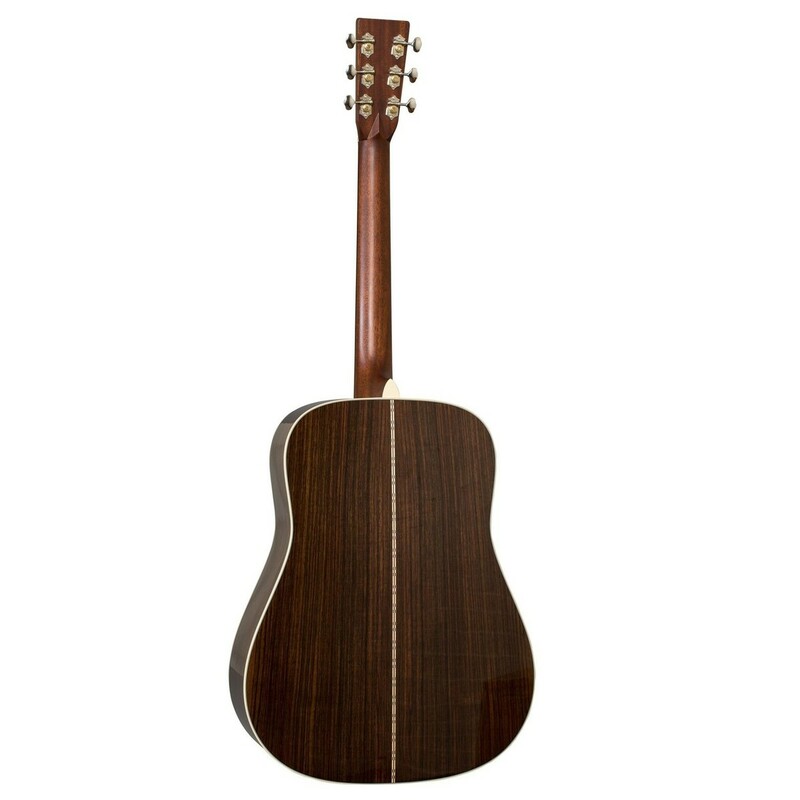 Martin has also added forward-shifted bracing to allow greater vibration of the top. The legend just got better!